Kevin Hines jumped from Golden Gate Bridge at the age of 19 with the intention of never being able to write again. Memoirs that engage and linger long after the last page are those that avoid self-absorbed narrations, lamenting, sermonizing, and tell the story with a little detachment from self. An Unquiet Mind, The Glass Castle, Running with Scissors—are all such memoirs. Mr. Hines’s memoir about his struggle with bipolar disorder falls short of these great memoirs. Mr. Hines does a wonderful job keeping the pages turning up until the point where he throws his body over the rail and those ensuing first few weeks of recovery. Unfortunately, this climax is reached well before the book is half over. Restructured, this memoir could have been mesmerizing. More like a cheerleader than a preacher, Mr. Hines allows the second half of the book to get a bit repetitive and tedious as he drives home the importance of friends, family, sticking to a treatment plan, and that obvious fact that suicide is never the answer. If he’s writing this book primarily for others who have seriously contemplated suicide, then perhaps a little cheerleading is well warranted. What Mr. Hines does portray with passion and honesty is the frustration of his mental illness, the tragedy of his failed meds, the difficulty he has in keeping himself well, his near crippling negotiation of the mental health care system, and his heroic daily struggles living with bipolar disorder. This is an all-too-common, and unacceptable, scenario for so many individuals who are trying to survive these neurobiological brain conditions. 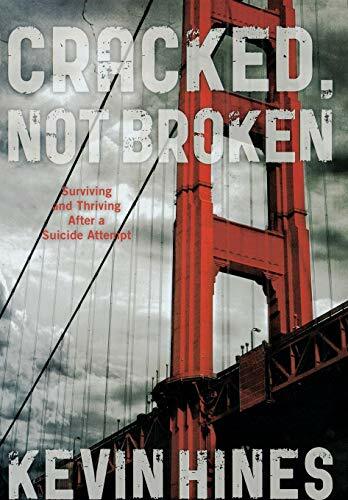 This is an excellent resource for anyone who has suffered the devastation of a loved one’s suicide or suicide attempt. This book should be an inspiration and a comfort to those who are suffering directly with mental illness. And it is a tribute to those who have lost their lives to these illnesses. Mr. Hines accomplished what he set out to do with this book and for that he should be commended.